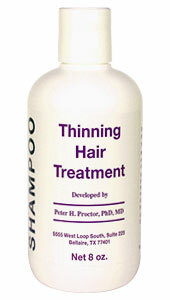 There have been many controlled studies on tryptophan. 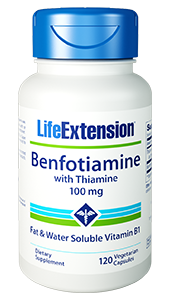 They suggest increased sleepiness, decreased sleep latency, and increased synthesis of serotonin and melatonin. Optimized Tryptophan Plus includes additional unique ingredients for maximum support. Optimized Tryptophan Plus blends lysine, niacinamide, and extracts of hops and rosemary to provide nutritive support for the body’s production of serotonin. 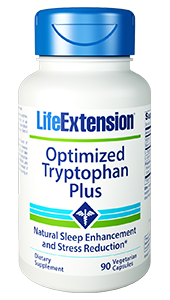 Life Extension® Optimized Tryptophan Plus contains premium L-tryptophan which has undergone significantly more rigorous manufacturing processes than regular tryptophan material, to assure the highest purity and safety. Ursole is a trademark of Vitiva d. d., Slovenia. Take up to three capsules all at once before bedtime, or one capsule on an empty stomach before each meal, or as recommended by a healthcare practitioner. 1. Int J Neurosci. 1992 Nov-Dec;67(1-4):127-44. 2. Curr Opin Neurobiol. 2013 Feb 2. pii: S0959-4388(13)00027-5. 3. Prog Neurobiol. 2000 Jan;60(1):13-35. 4. J Nutr. 2012 Dec;142(12):2236S-2244S. 5. J Exp Biol. 2002 Dec;205(Pt 23):3679-87. 6. Available at: http://www.tamu.edu/faculty/bmiles/lectures/amcat.pdf. Accessed February 14, 2013. 7. 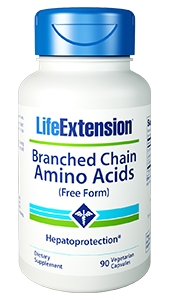 Amino Acids. 2012 June 8. 8. J Clin Invest. 1999 April 15;103(8):1169–78. 10. Effects of L-tryptophan on sleepiness and on sleep. 11. Effect of orally administered L-tryptophan on serotonin, melatonin, and the innate immune response in the rat.